In recent years, wearable technology such as smartwatches and fitness trackers have become immensely popular. In fact, more than 20 percent of American adults own these devices, consulting company PricewaterhouseCoopers found. Of course, like most technology trends, the wearable revolution has slowly seeped into workplaces across the country. Now organizations use wearables to collect all kinds of actionable data that can quantify nebulous operational and personnel shifts previously thought to be untraceable. Traditionally designed workplace wellness initiatives just don't work, the Harvard Business Review reported. These programs rarely boost employee engagement and often cost companies money – around $1.50 per employee, per month, a recent study from the Population Health Alliance and the Health Enhancement Research Organization showed. However, some organizations are overcoming this challenge and adopting impactful health programs with the help of wearable fitness trackers. For instance, oil company BP doled out more than 20,000 trackers to employees in 2015, Bloomberg reported. These devices, along with an incentivized program framework that tied insurance premiums to key wellness metrics, enabled the organization to recruit a large number of participants and more effectively promote healthier habits. Plus, it saved employees money on their health insurance. "These programs are often strongly linked to companies negotiating lower rates on collective insurance policies. Underwriters are more trusting of these devices than the self-reporting of employees," Chris Brauer, director of innovation at Goldsmiths, University of London, told the publication. Unfortunately, smaller companies aspiring to adopt such initiatives often run into a variety of barriers. First off, purchasing devices in bulk can be especially expensive. Additionally, companies collecting or even facilitating the collection of personal data must have the infrastructure to protect this information. Unfortunately, smaller enterprises with more meager IT teams don't have the resources to provide this level of data security. However, device manufacturers and insurance companies are working to change this. Last year, life insurance company John Hancock Financial released plans for a program that would enable policyholders to access rewards and save on their premiums by collecting and reporting key health metrics via wearables, The New York Times reported. The initiative is based on the company's own data-based employee wellness program. John Hancock will work with device company Fitbit to provide health trackers to participants, free of charge. Vitality, a South African wellness platform provider, plans to handle the data. Public health experts believe wearables will revolutionize company wellness programs and improve employee health. "It changes the paradigm of life insurance," Dr. Kevin Vlopp, director of the Center for Health Incentives and Behavioral Economics at Leonard Davis Institute of Health Economics in Philadelphia, told The Times. "In some sense, it tries to change your insurance into less of a passive vehicle that pays the bills if something happens, into a more active vehicle to get people to lower their risk." Organizations are quickly adopting wearable technology. Organizations are also using wearables to improve overall operational efficiency, the magazine CIO reported. For companies with mobile workforces or large shipping and fulfillment structures, such devices can quantify employee movement and provide key, money-saving insights into everyday operations. Shipping giant FedEx has worked with wearables since 2000 when it handed out Bluetooth-enabled rings that vibrated when parcel handlers placed packages into incorrect delivery vehicles or storage containers. According to the company's Chief Information Officer Rob Carter, the devices immediately improved efficiency and produced cost-savings. "We've had terrific value from the wearables we've deployed, so it's an area we'll continue to pursue as next-generation technologies become available," he told CIO. "I strongly believe it works in our favor that we've already got strong ideas and opinions on the best use-cases in our organization and we've also established the business case in terms of safety, convenience, productivity and health for our employees." "Operations-specific wearable programs must be based in trust." Of course, some say this approach can become problematic and lead to discriminatory practices, The Wall Street Journal reported. For example, floor managers may discriminate against employees who produce data they find objectionable or inaccurately assess collected workplace analytics. 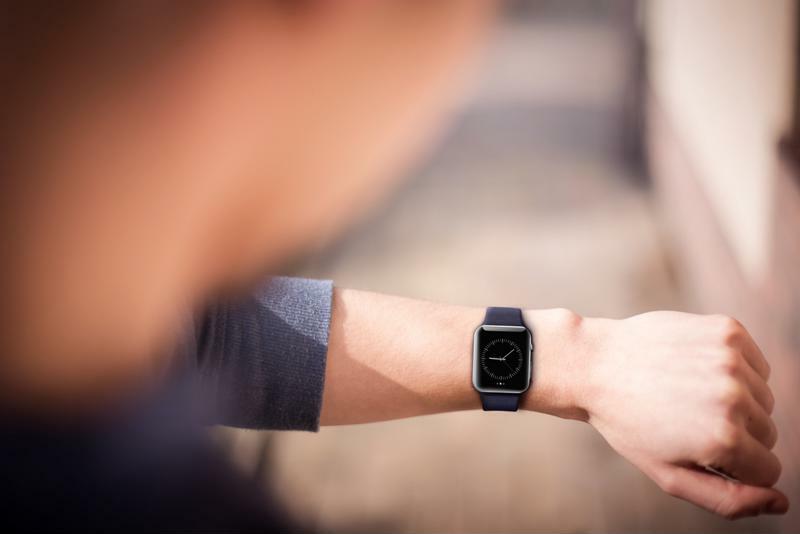 Industry experts say operations-specific wearable programs must be based in trust and feature in-depth training sessions for all stakeholders. Though wearables can produce myriad operational insights, these devices can also damage workplace culture if used improperly or forcefully adopted. "To my mind, we should not deny ourselves the potential benefits of these technologies by banning them, but we must keep a critical eye on particular implementations of such technologies in order to ensure that they do not become new ways of discriminating against people based on any number of illegal and illicit criteria," Edward McNicholas, a data security lawyer at the law Sidley Austin LLP, said in an interview with the publication.